Good morning, looking to upgrade my fog lights to LED. It's a 2016 ScatPack Challenger. Can you please provide me the item number and if any discounts are available. Not sure where that information started to spread, but it's a plug and play replacement. Very easy to do, and won't require a trip to the dealership. I've been looking into purchasing new fog light LEDs for my 2015 challenger. But I read somewhere that after installing you have to bring it back to the dealership to get it installed. Is this true? If so is there a way around it? And would the same apply if in the future i bought new headlights instead of the stock ugly yellow color. The XML2s have been discontinued and replaced with our new USA-made SLF fog lights. The SLF will match your OEM headlights nicely, and utilize the factory housings better than the previous XML2. I am interested in the XML2 Cool White fog lights, to match the headlights on my 17 Challenger TA. The website doesn't let me select that color option. Do you know when they will be back in stock? I'm installing your under dash kit. One set under both sides of the dash, and one set for the rear seats. I'm running all the wiring to a fused junction box. What size fuse should I use? It looks better than the factory LEDs, and you'll get the colors as an added bonus! 09:49 AM - Diode Dynamics mentioned NJDevils82 in post 2015+ Challenger RGB Multicolor Fog Light LEDs! Control from your Phone! Plug & Play! ...ed any pictures yet NJDevils82? Thanks! Nick C.
07:38 AM - Diode Dynamics mentioned swalker in post Dodge Challenger Fog Light LED Bulbs! USA Made SLF! Match OEM-HIDs & Halo DRLs! 07:19 AM - Diode Dynamics mentioned Sublime23 in post Dodge Challenger License Plate LEDs! Plug & Play Install! Same-day shipping! Check your inbox Sublime23 Thanks! Nick C.
07:00 AM - Diode Dynamics mentioned TWiele in post Information? 09:32 AM - Diode Dynamics mentioned superrok in post Dodge Challenger Fog Light LED Bulbs! USA Made SLF! Match OEM-HIDs & Halo DRLs! Looking good superrok! Nick C.
06:49 AM - Diode Dynamics mentioned SublimeScat15 in post Dodge Challenger Fog Light LED Bulbs! USA Made SLF! Match OEM-HIDs & Halo DRLs! 08:25 AM - Diode Dynamics quoted Snowkan in post Diode Dynamics Universal RGBW™ Multicolor LED Demon Eyes! USA Made! 09:20 AM - Diode Dynamics quoted hemi1031 in post Dodge Challenger Fog Light LED Bulbs! USA Made SLF! Match OEM-HIDs & Halo DRLs! 07:21 AM - Diode Dynamics quoted hemi1031 in post Dodge Challenger Fog Light LED Bulbs! USA Made SLF! Match OEM-HIDs & Halo DRLs! 07:50 AM - Diode Dynamics quoted sdr2711 in post Challenger Footwell LED Kit! RGB Multicolor & Single Color Kits! Smartphone Control! 08:13 AM - Diode Dynamics quoted K-Dawg in post Dodge Challenger License Plate LEDs! Plug & Play Install! Same-day shipping! 01:08 PM - Diode Dynamics quoted ShakinSkat in post Dodge Challenger Fog Light LED Bulbs! USA Made SLF! Match OEM-HIDs & Halo DRLs! 12:59 PM - ShakinSkat quoted Diode Dynamics in post Dodge Challenger Fog Light LED Bulbs! USA Made SLF! Match OEM-HIDs & Halo DRLs! 12:37 PM - Diode Dynamics quoted ShakinSkat in post Dodge Challenger Fog Light LED Bulbs! USA Made SLF! Match OEM-HIDs & Halo DRLs! 12:35 PM - ShakinSkat quoted Diode Dynamics in post Dodge Challenger Fog Light LED Bulbs! USA Made SLF! Match OEM-HIDs & Halo DRLs! 08:54 AM - Diode Dynamics quoted ShakinSkat in post Dodge Challenger Fog Light LED Bulbs! USA Made SLF! Match OEM-HIDs & Halo DRLs! 02:55 PM - Diode Dynamics quoted chrys7 in post Dodge Challenger Fog Light LED Bulbs! USA Made SLF! Match OEM-HIDs & Halo DRLs! 02:54 PM - chrys7 quoted Diode Dynamics in post Dodge Challenger Fog Light LED Bulbs! USA Made SLF! Match OEM-HIDs & Halo DRLs! 02:13 PM - Diode Dynamics quoted Octanewide in post Dodge Challenger Fog Light LED Bulbs! USA Made SLF! Match OEM-HIDs & Halo DRLs! 02:11 PM - Octanewide quoted Diode Dynamics in post Dodge Challenger Fog Light LED Bulbs! USA Made SLF! Match OEM-HIDs & Halo DRLs! 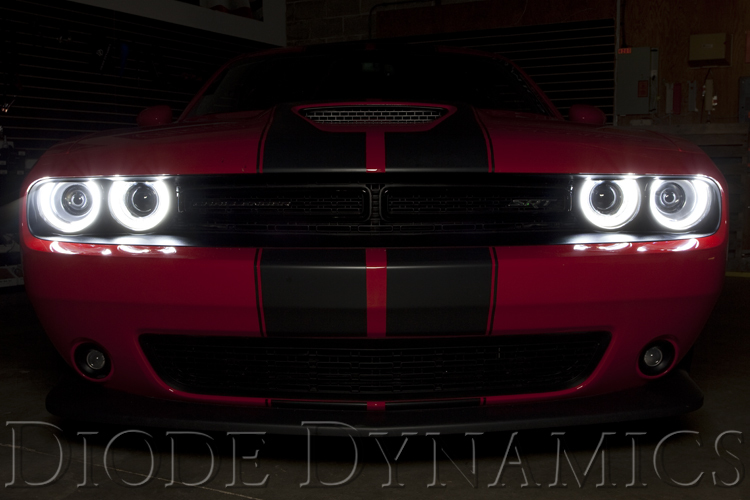 02:07 PM - Diode Dynamics quoted Octanewide in post Dodge Challenger Fog Light LED Bulbs! USA Made SLF! Match OEM-HIDs & Halo DRLs! 08:04 AM - Diode Dynamics quoted chrys7 in post Dodge Challenger Fog Light LED Bulbs! USA Made SLF! Match OEM-HIDs & Halo DRLs!